Guitarist Bob Welch departed after Heroes was released, leaving the band in a state of flux that was compounded by the fact that they’d been in the middle of a long legal struggle with ex-manager Clifford Davis, who claimed he owned the Fleetwood Mac name and tried to prove it by sending a “fake” version of the group out on the road. Forced to find a replacement for Welch just as they settled things with Davis, Mac mainstays Mick Fleetwood, Christine McVie, and John McVie ended up adding two new members — and setting themselves up for a massive commercial breakthrough. Happily, the freshly minted fivesome meshed much more easily than Buckingham might have suspected, and set up shop at Sound City with producer Keith Olsen in early 1975, weaving together a set of songs that drew from pre-existing Buckingham/Nicks numbers as well as new material written by Christine McVie and a Buckingham/McVie co-write, “World Turning.” As Buckingham told the Independent, although he and Nicks were junior members, they were given plenty of creative room to shine. While the new Fleetwood Mac clicked as a musical unit, the personal relationships between various members of the band were falling apart — Christine and John McVie’s marriage was nearing its end, and Buckingham and Nicks were close to breaking up even before they joined the lineup. Over time, both couples’ demise would form a key component of the group’s legacy (and help inspire their best-selling album), but in the short term, that air of uncertainty fueled a number of future Mac classics. Nicks also contributed the standout track “Rhiannon,” which she wrote shortly before joining Fleetwood Mac after reading Mary Leader’s novel Triad. The book’s story incorporates elements of the Welsh legend of Rhiannon, which Nicks unwittingly wove into the song even though, by her own admission, she didn’t really know about it until much later. That effort eventually paid off in spades. Fleetwood Mac‘s first single, the Christine McVie number “Warm Ways,” failed to chart, but the follow-up — “Over My Head,” also courtesy of McVie — peaked at No. 20 in the States, paving the way for the huge hits “Rhiannon” and “Say You Love Me” (both No. 11). In September 1976, over a year after its release, Fleetwood Mac topped the album charts, selling more than five million copies along the way. Of course, as Fleetwood conceded in his NME interview, that success came after another step away from the blues-influenced sound Fleetwood Mac started with. “We’re certainly not sounding the same as we were eight years ago,” he laughed, while hinting at the strong interpersonal dynamics that would come to shape — and occasionally overshadow — the band over the decades to follow. Another year has just passed. I'm starting to feel old. I didn't know Warm Ways was released as a single. 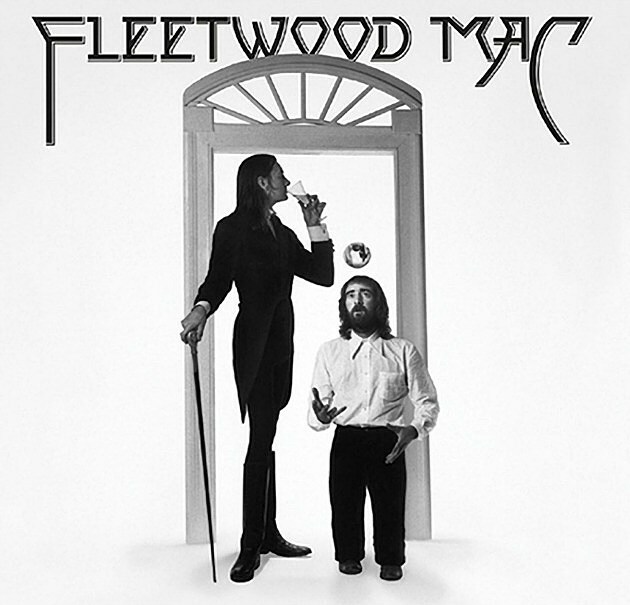 Today in rock history: on this date in 1975, British band Fleetwood Mac released its tenth album. The self-titled album is significant in that, after many years as a blues-based outfit and lineup changes, this is the first release to feature the lineup that would lead the band to the greatest success it would ever experience. At the request of drummer Mick Fleetwood, a brand new lead guitarist, Lindsey Buckingham was added to the lineup along with his then girlfriend, Stevie Nicks. Both were accomplished singers and songwriters as well and their addition to the band would prove vital to the it's popularity. The album climbed to the very top of the charts and spawned three massive hit singles "Over My Head," "Say You Love Me" and "Rhiannon." This was the first in the new era of Fleetwood Mac and it would set the stage for its next release in 1977, the record-breaking smash, Rumors. I adore all three classic eras.